Formed at the dawn of the progressive rock era in 1969, Gentle Giant seemed poised for a time in the mid-'70s to break out of its cult band status, but somehow never made the jump. Somewhat closer in spirit to Yes and King Crimson than to Emerson, Lake & Palmer or the Nice, their unique sound melded hard rock and classical music, with an almost medieval approach to singing. Gentle Giant was born out of the ruins of Simon Dupree & the Big Sound, an R&B-based outfit led by brothers Derek, Ray and Phil Shulman. After switching to psychedelia in 1967 and scoring their only major hit that year with "Kites," as Gentle Giant the group abandoned both the R&B and psychedelic orientations of the previous band; Derek sang and played guitar and bass, Ray played sang and played bass and violin, and Phil handled the saxophone, augmented by Kerry Minnear on keyboards, and Gary Green on guitar. Their original line-up also featured Martin Smith on drums, but they went through several percussionists in the first three years of their existence. 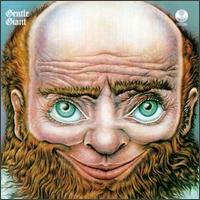 In 1974, however, Gentle Giant began coming apart. Phil Shulman decided to give up music after the Octopus tour, and became a teacher. Then the group recorded the album In a Glass House, their hardest rocking record yet, which Columbia's U.S. arm rejected as too uncommercial. The two-year gap in their American release schedule hurt their momentum, and they weren't heard from again until the Capitol release of The Power and the Glory in 1975.